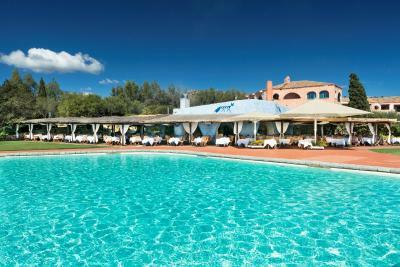 Lock in a great price for Cala Di Volpe, a Luxury Collection Hotel – rated 9 by recent guests! Everything honestly.. the hotel is beautiful! The staff are extra extra nice! The rooms are sooooo clean! We tried the laundry service and our clothes came back looking like they’re brand new!!! Everything was amazing - the view, the service, the food, the location. Can’t wait to come back. It's an old world place...trying to keep up as a billionaire's play ground...tough to do. The property is beautiful and room is very comfortable. Breakfast is included and they give you the option of having it served in room, which I always think is a bonus. Loved the location and the accommodation. Very unique place. a luxurious but still friendly hotel with wonderful staff. The beds are exceptionally comfy. Rooms are clean and spacious. Great buffet by the swimming pool and one of the best pizzas I've ever had. The pool is enormous! breakfast and dinner are very good. Hotel complex very well-kept and spacious. Certain employees are very nice. Free room upgrade after the complaint about the loud neighbours. Cala Di Volpe, a Luxury Collection Hotel This rating is a reflection of how the property compares to the industry standard when it comes to price, facilities and services available. It's based on a self-evaluation by the property. Use this rating to help choose your stay! 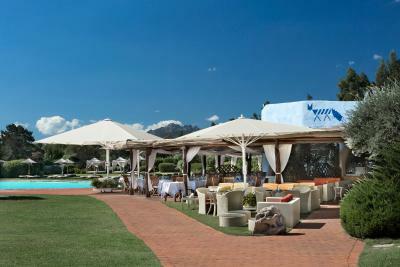 Hotel Cala di Volpe is surrounded by a lush, green Mediterranean landscape. The resort has excellent sports and spa facilities and a stunning private beach. Parking is free. 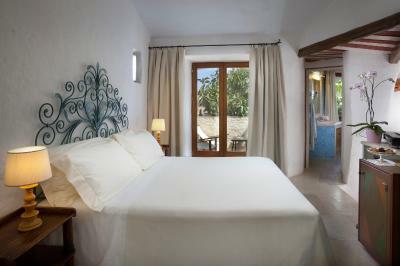 The Cala Di Volpe's rooms are large and air-conditioned. Each one comes with a seating area with 42-inch flat-screen TV with satellite channels and DVD player. Rooms overlook Cala di Volpe Bay and the hotel gardens from the private balcony. 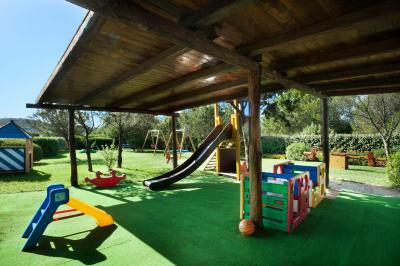 Set near Sardinia's famous Porto Cervo, the Cala Di Volpe has 3 floodlit tennis courts in synthetic grass. The huge salt-water pool is surrounded by shaded huts with loungers and beach towels. The white-sand beach with lifeguard is a 5 minute boat ride or a 15 minute walk away. There is also a free shuttle leaving every half hour from the pool. The Cala di Volpe has also its own well-equipped fitness center open 24 hours a day and where you will find personal trainers. At the spa you can book relaxing massages or rejuvenating beauty treatments. In the evening you can choose from designer Mediterranean cuisine, gourmet Sardinian dishes, wine tasting and much more at Cala di Volpe's award-winning restaurants, with lovely views of the bay. 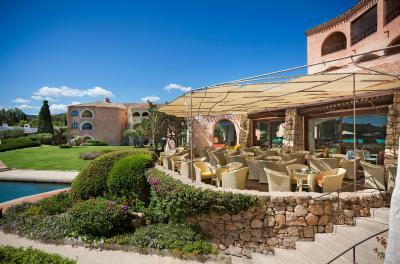 This property also has one of the top-rated locations in Porto Cervo! Guests are happier about it compared to other properties in the area. 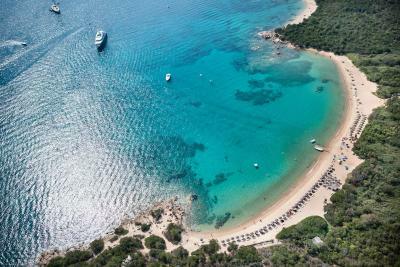 When would you like to stay at Cala Di Volpe, a Luxury Collection Hotel? This double room has a balcony, bathrobe and satellite TV. This room features a balcony, air conditioning and bathrobe. This double room features a balcony, satellite TV and bathrobe. Sport weekend 6th April - 7th April with accommodations at Astor Garden Hotel and Sea & Sport activities at Aquahouse Thermal & SPA. Both days the activities include therapeutic gymnastics with a specialist, water gymnastics, outdoor tapout training and Aqua Zumba. This room type has a balcony, seating area and air conditioning. 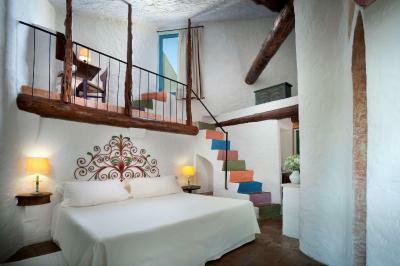 This room type features a balcony, bathrobe and air conditioning. This room type has a balcony, satellite TV and seating area. Lying on the most strikingly romantic stretch of the Costa Smeralda, the hotel resembles a charming fishing village, with its picturesque Sardinian houses and landing stage jutting out into a sea of translucent turquoise, emerald green and deepest azure. 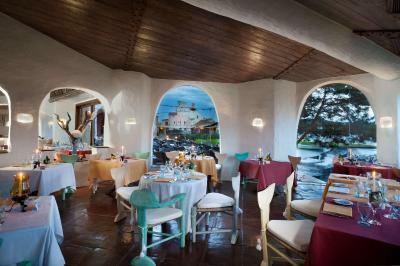 Each of the 100 sea-view rooms and 21 suites pays tribute to Sardinia's unique artistry and natural beauty. The minimal chic decor is inspired by traditional Sardinian workmanship. And for an even more exclusive ambience, the Presidential Suite, with three bedrooms, two lounges, sauna and private swimming pool. 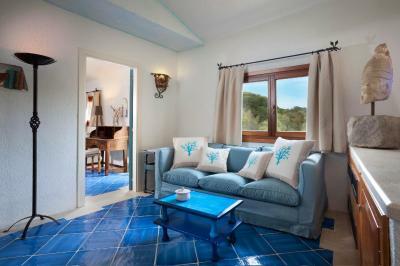 House Rules Cala Di Volpe, a Luxury Collection Hotel takes special requests – add in the next step! One child from 3 to 11 years is charged 70 % of the room stay per night and person in an extra bed. One older child or adult is charged 80 % of the room stay per night and person in an extra bed. Cala Di Volpe, a Luxury Collection Hotel accepts these cards and reserves the right to temporarily hold an amount prior to arrival. The restaurants at the property are an absolute rip off for very much sub par food. If you're going to charge 37 Euro for a burger and fries, it should be one of the best burger experiences of your life. In this case, not even close. I had 2 meals here and both experiences included being way overcharged and consuming very disappointing food. Let me be clear, I'm not complaining about the price, I'm complaining about the quality of the food they deliver. I've been to luxury hotels all over the world and paid for plenty of overpriced meals, but this is the first time I felt like I was cheated. Additionally, the hotel allowed me to pay cash for my stay upon check out, but then still charged my credit card...thus double billing me. Wrote the hotel 3 days ago and still waiting on a reply. Service was efficient but wait staff were not very friendly and engaging. The restaurant and bar food and drinks were astronomically expensive and beyond belief. You could feel the pretention. There were areas of the grounds which were out of bounds. Not a place for humble everyday people even if they can afford it. excellent services, over all wonderful experience at beach hotel during stay. Service at the hotel bar is non-existent, if you don't get up and find a waiter, no one will come to your table. Also, on two occasions I was served cheaper rum/grappa than I had ordered and I was charged for the more expensive one. Only after my intervention at the bar and asking the bartender to show me the bottles from which they poured my drinks, he admitted to serving cheaper substitutes. It is unacceptable. Also, keep in mind that the hotel charges almost double the price on the beach for the same bottle of champagne they serve at the bar (350 EUR for a bottle of Ruinart). Always check the prices! Dining at the hotel in the evening isn't worth the hassle. Food is bland and massively overpriced. I only wish their dinner food quality and taste matched those at Pitrizza and Romazzino hotels nearby. Also, too bad the seating is only available inside. The bill at checkout should be honestly more detailed in words given the amount one has to pay. No 5 star level in many respects... For example: Television did not work during our whole stay (for whatever reason, such a thing is not acceptable in such a hotel), boat to the beach did not drive us (strangely enough on our day of departure it then drove?). To get to the beach you had to walk through a small jungle, very questionable for a celebrity hotel... At the check-out: No question how we liked the stay. Drinks offered for the birthday were charged on the final bill (and that's not all: they charged over 80 EUR for things that we have not consumed; After complaint the invoice was cleared, but no excuse, nothing! Absolutely embarrassing...), extra ordered birthday cake didn't come for dessert, not even a happy birthday. From such a hotel, where a bottle of water costs 30 (!) euros, it's an absolute impudence. It would still take me wonder how they justify the price of 30 euros for a bottle of water? In conclusion we are very disappointed by our stay. You can definitely expect more from a hotel that has such a Reputation and demand such prices. The fixed price menu in the main restaurants was extremely excessive. Also the prices of the mainly Sardinian wines was very high, least expensive bottle of red wine at 100 euros. Everything about the hotel and particularly, the staff, was first class. Food and drink costs are very high.